Louise was born in Haarlem, the Netherlands, in 1942. German forces had invaded the Netherlands in May 1940 and set up a German administration. The Nazi’s also confiscated the family business. By the time Louise was born antisemitic laws were enacted and Jews were forced to wear a yellow star. By July of 1942 deportations of Jews from the Netherlands to the extermination camps of Auschwitz and Sobibor had begun. In January 1943 Louise and her family were ordered to move to Amsterdam, and shortly thereafter went into hiding to escape deportation. Louise’s father managed to rent a top floor apartment and acquired false identification papers for the family. Louise’s father had to leave the apartment after curfew to get food and medicine for the family; sometimes he brought home news about the war. Louise in hiding in the Netherlands. —US Holocaust Memorial Museum, courtesy of Louise Lawrence-Israëls. Louise in the chair she received for her second birthday. —US Holocaust Memorial Museum, courtesy of Louise Lawrence-Israëls. Louise’s parents tried to give the children a “normal” childhood in hiding; playing and learning colors, letters, and songs. It was in this apartment that Louise learned to walk. 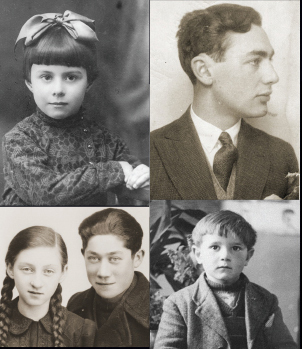 When air raid alarms sounded, the family took refuge on the steep staircase, the strongest and safest part of an Amsterdam row house. Louise’s mother had an emergency basket ready to take with them during air raids. On May 5, 1945, Canadian forces liberated Amsterdam. Louise was three years old. Louise initially had difficulty adjusting to a world without walls, having never been outside for the duration of the hiding. After the war, the family did not talk about their life in hiding. Shortly thereafter Louise’s father found work in Stockholm, Sweden; Louise, her mother, brother and baby sister joined him during the winter of 1946. The Israels family moved back to the Netherlands in 1948. Louise earned a degree in physical therapy in the Netherlands, and in 1965 she married Sidney Z. Lawrence, an American medical student in Amsterdam. They moved to the US in 1967. After Sidney retired from the U.S. military in 1994, they settled in Bethesda, Maryland. Louise volunteers at the United States Holocaust Memorial Museum. 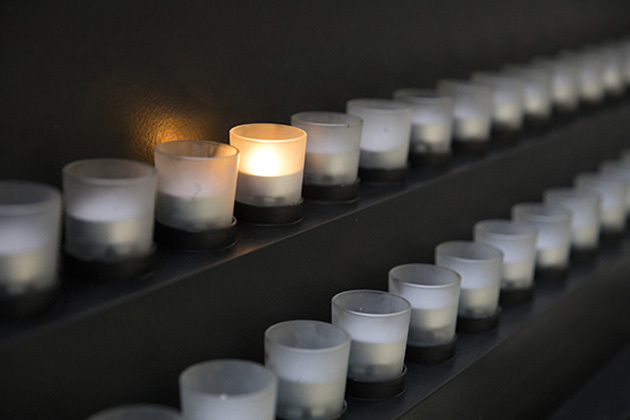 I volunteer at the USHMM because I think it is important to be part of the dissemination of information about the Holocaust, in honour and memory of my family.